A second of carelessness can affect you forever. Take steps to proactively manage your Digital Footprint. 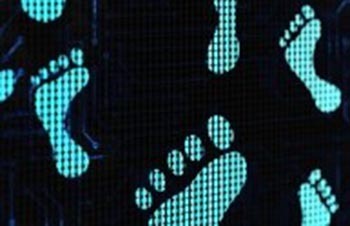 Digital footprints are the records and traces we leave behind us as we use the internet. When we visit websites to get information, do social sharing, send instant messages and email, we leave “footprints” of our behavior behind. This digital footprint can have both positive and negative consequences. One side effect of digital footprints is the loss of privacy and anonymity online. As we go from site to site we leave behind evidence of what we’ve done, where we’ve been, what we’ve been thinking, who our friends and families are and more. These footprints continue to build over time. (In other words, they never go away.) Our digital traces can then be linked into a larger and more complete profile and what we consider as private information is now ‘out there’ in some way, shape, or form. The links between digital footprints, IP addresses, phone numbers, E-commerce, and on-line activities make it possible to attach those actions to a real identity. When we consciously share information on social media such as “Facebook” or “Twitter” or “Instagram,” we know we lose some degree of privacy. However, we also contribute to our footprint when we enable location services. These services allow location-dependent apps and websites to use information from cellular, Wi-Fi, and GPS networks to determine your approximate location. Location services can be turned on or off by the user. The tutorial discusses a four-layered approach and includes a discussion on managing cookies, checking your privacy settings on things such as permissions on photos and social media sites, remembering that once you share anything, you lose the ability to unshare. The interlocking mesh of social networks, photo sharing sites, blogs, URL shorteners, and republishing services, creates a significant barrier keeping you from controlling and protecting your own information. It is possible to use tools and real-world objects to create boundaries and increase control, however these do take time and effort and realize there is no "quick fix".